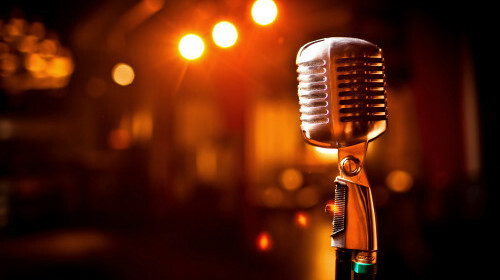 Albury DJ Entertainment » Why use a professional MC? After witnessing many inexperienced MCs over the years I wanted to share why I believe you should always hire a professional MC, an experienced wedding DJ to act as MC or have some basic MC training before undertaking such an important role. You may not think you need an experienced MC and that a friend or family member can do the job, until you see the small differences an experienced MC include that make you realise the importance. During my 14 years industry experience I have realised that the overall quality of your event or reception can come down to the quality of your host or MC. The MC has the power to create or drain energy from the room, create a buzz of excitement before each key moment and help control the flow of the event. If you create some unique key moments early in the reception, people will already have had a wonderful experience even before the fun starts on the dance floor. People should not be bored or unaware of what is happening next but be fully informed of the order of events and when they are occurring. This happens in a relaxed fashion but ensures guests do not miss key moments. I will share what we do and how this can improve the overall guest experience at your reception or event. 1. Organisation. We meet with our clients and cover the entire event in detail, ensuring everything important is covered. We can recommend timelines, suggest ways to enhance the event and provide you with suggestions you may not have heard that can create a unique feel. This organisation carries throughout the night because we have a clear indication of how the evening should run and what your expectations are We work closely with the function manager to ensure a smooth flow of events (including meal times). Letting your guests know the order of events in advance. Such as a 5 minute warning for the introductions, the speeches and other formalities. How many times have you attended a reception and people came back into the room mid speeches after not realising the speeches had started? A professional MC will invite guests to take their seats and ensure the bridal party, speakers and key family members are in the room before speeches begin. 2. Personalisation. Experienced MCs have attended many events and have created unique ways of doing even the most standard formalities. We personalise the bridal party introduction and can include such details as; how they are related to you (friend, family), how long you have known them, how you met and a funny fact (‘such as voted most likely to…’). The bride and groom’s introduction into the room can create many emotions such as fun and romance. This could include details such as when you first met, a first date story, the proposal and key moments throughout your relationship. How you start your night helps create a great event. During speeches we can introduce each speaker by sharing how they know you or what role they have played leading up to the event. Even the way you are introduced to begin your first dance can create a very different moment than simply getting announced. 3. Experience. Some of the things we just do are because we have the experience and specalise in wedding entertainment. This includes ensuring the correct introduction order and pronunciation of names. Ensuring guests are seated and aware the reception is beginning. Ensuring key speakers are aware of the speech order and are present. Ensuring a cake knife is present before the cake cutting. Arranging with staff to dim the lights for your bridal waltz. And helping to co-ordinate the event conclusion including how you plan to say goodbye to your guests and leave the reception. Your family member will do the job, it all depends on how you want it done. We never drink on the job and are their solely to MC and entertain at your reception. Your guest MC is also there to attend and be present, which can create problems when they are not organised, familiar with the venue and have had a few drinks. I suggest you look to hire a professional so that all your guests can enjoy the evening and not stress about what they need to do next. There are exceptions to this rule as I have seen some very, very good MCs who have obviously had a lot of public speaking and hosting experience and have a personal connection with the bride and groom. When they are confident speakers and have had experience this can work well. This seem to be the exception, however, rather than the norm. I have generally found that many inexperienced friend MCs simply did not understand the role, were often nervous and have made mistakes during key moments. Although we have not offered this service in the past. In the case you prefer a family or friend to MC, we can organise a consultation with the MC to help them plan for key moments and what to expect when being the host. Please contact our office for more detail on this service. Albury DJ Entertainment offer experienced wedding DJs who can MC, an exclusive DJ & separate MC and an MC only option where couples choose to have us provide their master of ceremonies with a band or other style of entertainment. Jono Toohey - owner and professional DJ & MC at Albury DJ Entertainment.